Special guests Charles Krempeaux, Nathan Ladd, Adam Dymitruk, and Scott Bellware join host Drew Ogryzek for a discussion around monolithic software architecture versus microservices, what that means, and what the informed CEO should know when a team is considering tackling this type of software design shift. Guests Alex and Lester from Advisor Websites join host Drew Ogryzek to discuss the past and upcoming week in Vancouver's Tech Community, as well as their SaaS web solutions for financial advisors. Alex and Drew open the show talking about the themes of their past weeks, including communication, interrupting programmers breaking their concentration, project management meetings and red-tape, design sessions, improving processes, when to outsource versus build in-house. Our special guest this week is Chad Leaman, of the Neil Squire Society. We talk about how technology helped Niel Squire back in the early 1980s, with a device that he could interface with using sip and puff gestures to produce morse code, and communicate. Alex and Drew talk about their week, including developer responsibility for engineering clean systems, event sourcing, Women in Tech, and the upcoming VanRuby and Digital Project Managers Meetups, then interview Nikolay Malyarov of PressReader about keeping factual journalism relevant in the modern era. Guest co-host Kim Hansen, CEO of Signl.fm joins us to discuss speech to text, machine learning, meetups around town, and interview Peter Watkins, cofounder of the BC Developer's Exchange, on topics from agile teams in government to the BC housing data visualization project. On this week's podcast Drew talks about hiring incentives at his company and Alex talks about the Event Store she is building with AdapTech Solutions. Featured meetups around town were Hackernest (hosted by Drew), Tech Vancouver, and DDD/CQRS/ES hosted by AdapTech. Our featured guest this week is Nikolas Badminton! Nik is a researcher and futurist speaker who splits his time between Canada (Vancouver, Toronto and Montreal), USA, UK, and provides insights into how people, communities, cities, businesses, and countries are changing with applied exponential technology. Nik's primary interests in technology are in Artificial Intelligence & Machine Learning. Alex & Drew open the show talking about interviews at Drew's workplace, talentful, The Bike Shed Podcast and discuss Alex's coding progress which you can read more about in her blog. Select meetups around town Alex and Drew attended last week were the Vancouver Tech Meetup which Drew hosted at Beanworks and the DDD/CQRS/ES Meetup at DCTRL. Our guest this week is Renee Hildebrand, Technical Writer at IT Glue! Alex & Drew open the show talking about workplace dynamics. They discuss Alex's coding progress, meetups they attended the past week and highlight a few upcoming meetups around town in the Vancouver tech scene. Our guest this week is Rob Bucci of STAT Search Analytics, a company which tracks the visibility of search content and provides insight using data science for their clients. Stay tuned for Annee's upcoming Media hackathon to disrupt mainstream media! If you're interested in getting involved you can reach Annee by email or on twitter: @protohackvan or @anneengo. Our guest this week is Holly Peck of Women Who Code Vancouver. You can reach Holly on twitter at @WWCodeVancouver. Alex and Drew open the show talking about highlights from the previous week's meetups in the Vancouver tech scene, then Alex talks about progress with learning to code from her blog currently hosted on Medium. Drew and Alex mention a few coding references to check out: Hong Kiat, Team Treehouse, Code Academy, and Code School. Our guest this week is Reza Sanaie. The interview starts at 0:16:40. Reza is the Co-founder and Director of Engineering at Beanworks which is a company focused on providing accounts payable solutions using cloud based software. To find out more how Beanworks can help you reach out to Reza by email: reza @ beanworks.com. Our guests this week are Alex Taylor and Jade Tong. Alex and Jade completed the Developer Bootcamp at CodeCore and were on the show one year ago when they were in their 6th week studying. Drew and I check in with Alex and Jade to see how their experience was with CodeCore and see what they're up to now! Alex and Drew open the show talking about dog friendly workspaces, Haml, the upcoming inaugural Vancouver Tech Meetup, an open-contribution style company, and go over the upcoming week of Meetups Around Town. Our guests this week are Robert Reppel and Erik Reppel. Robert Reppel is Director of Engineering at Adaptech Solutions and co-host of the DDD/CQRS/ES Meetup and the new Vancouver Tech Meetup. A true Polyglot, Robert has more than 25 years of practical, hands-on experience as a Software and Systems Architect, fixer, aligner, deliverer and explainer of products and projects within all aspects of the software development life cycle. Also joining us is Robert's son Erik Reppel who is working on his B.SEng. at UVIC majoring in Computer Science and has interests in big data and time series events. Erik is also cofounder of launchaco.com a company that instantly searches domain names, social media handles and gives you the means to a custom website in 3 easy steps. Our guest this week is Alamusi, organizer of the Ionic Vancouver and Tech and Startup Weekly (9Cat) Meetup Groups. We talk about developing cross platform apps using Ionic which uses Adobe PhoneGap or Apache Cordova frameworks versus other platforms such as Xamarin. Alex and Drew open the show talking a bit about reasonable assumptions of how things are versus how they end up being in the real world, whether engineers should follow reasonable assumptions or test everything, how event storming and CQRS help deliver early prototypes quickly, the upcoming inaugural Vancouver Tech Meetup and an open-contribution style company, go over the upcoming week of Meetups Around Town, and have an interview with Mark Schramm, organizer of the Vancouver Windows Platform Developer Group about the meetup, his consulting business, some of the cool projects he's working on, and mentoring Microsoft interns. Drew and Guest Co-Host Alex talk about levels of software development, project management, event storming, learning to code, meetups around town, then interview Hussein from Launch Academy and the Vancouver Pixel Crafters Meetup group. Drew and James jump right into things because Audacity crashed during the first part of the show! That's ok, though; we still have the meetups and our special guest: Sam Sullivan from PNI Digital. Drew and James open the show with a quick chat about community as well as the results of the Vancouver Programming Language survey. The guest this week is an anonymous guest from Düber! Drew and James open the show talking about managing projects and running QA. They jump to some anecdotal learnings about teaching development to students. There is no guest this week. Enjoy your Labour day long weekend! Drew and James open the show with a quick chat about what a startup is. They also catch up on Drew's domain problems. There are 2 guests this week, Peter Wittig from Motive.io and Justin Vaillancourt from Doodly.ai. Drew and James open the show with a quick chat about the most popular programming language and whether that measurement is valid. The guest this week is Evgueni (or Ev for short) Naverniouk from Cumul8. Drew and James open the show with a discussion on domain issues. The interview this episode is with Matthew Corstorphine and Alex Silva from Aequilibrium. Drew and James open the show quickly with a brief chat but then jump right into meetups. The guest this week is Adam Dymitruk, the Founder and CTO of Adaptech Solutions, organizer of the Git Help and 0-tech meetup, Linux Desktop Meetup, and the DDD/CQRS/ES Practitioners meetup! Drew and James open the show reflecting on the last episode that Drew did solo. They also chat about summer and the past couple weeks of meetups. This week's guest is Stacey Mulcahy, the Senior Program Manager at "The Garage". With James on vacation and a last-minute cancellation from our special guest co-host, Drew covers the upcoming week in Meetups Around Town! Our special guest this week, Matias Marquez tells us all about Buyatab, an electronic gift card company he founded about 7 years ago. The interview starts at: 123. Drew and James open the show with a quick chat about staying focused and working on side projects. There is also some discussion about Pokemon Go, and programmers who started because they wanted to be game developers. The guest this week is Kalvir Sandhu the founder and CEO of Brewhouse. Drew and James open the show with a nice lesson on how to say Drews last name. They then discuss some of the tools around server provisioning and a new web server called Caddy. The guest this week is Bryan Clark, the Product Manager for the Firefox DevTools! Drew and James open the show with a discussion about "beer o'clock", and whether that is inclusive, exclusive, and how to fix it. The guest this week is Jesse Calderon, the Senior Director of Engineering at Tableau Software. Drew and James open the show with a chat about some DevOps tools. As well as some shortcuts to spinning up new servers. The guest this week is Chris Richardson, a Software Development Manager at Amazon (AWS) on the RDS (Relational Database Service) team. Drew and James open the show with a plug for a cool job, a short discussion on a recent company acquisition, and some reflection on a special event that they went to on Friday. This weeks guest is Kenneth Auchenberg, a Program Manager at Microsoft. Drew and James open the show with some cool news. Then jump pretty quickly into the meetups around town. Drew gives a quick review of the Warcraft movie. The guest for this episode is Peter Thompson from AtlanticFusion. This week is light on events but heavy on discussions. Drew and James open the show with a chat about missing client information, some new tools they are using, and another cool job to plug. This is a special show with 2 simultaneous guests, Keir Miron and Eric Muyser. Drew and James open the show with a quick chat about project scopes, some discussion on analytics, and excellent internet in South Korea. There is a holiday on Monday so when we mention the "Git Help & 0-Tech" since it is not happening. Our interview today is with Dean Sutton, who has many roles, but is currently helping the local incubator, Istuary. Drew and James have a long show this week. First, they cover some ideas on leveling the playing field with remote and local employees. Drew went to a ton of meetups, so there is an excellent breakdown of each day. We have lots of links for this episode, so check the show notes! The interview this week is with Kiri Nichol - small yellow duck. Drew and James open with a brief chat about the week in review, a little bit about Microsoft naming, as well as some of the side projects they are working on. The guest this week is Matt Carolan from Softchoice, an experienced group of experts that offers deep expertise and design for the implementation of advanced IT and cloud solutions. Drew and James open the show with a quick chat about the past week of personal activities, as well as a mention of the DevOpsDays. They hit a bunch of meetups last week, 7 in total, so be sure to listen to the reviews. This special show has 2 guests from SKIO Music, Neal Clark and Omri Amouyal. The first show of April is a fun one. Drew and James chat a little about April Fools, then get right into the previous week. They talk about using statistics for measuring team output, as well as the relationship between interview and performance later on. The guest this week is Ilya Brotzky, the Co-Founder & CEO of VanHack as well as a Facilitator & Mentor at Spring Activator. Even though it is the Easter long-weekend, you still get a show! Drew and James cover the brief week before, as well as go on some tangents on devtools and hiring with interviews. Our guest this week is Zeeshan Hayat, Kudolife CEO and Prizm Media CEO. Drew and James head straight into events from last week and the upcoming week. This episode's special guest is Jonathon Narvey, a long-time freelancer and the west coast editor at BetaKit. Drew and James open the show with some discussion on the podcast itself, then jump into events from last week. Last week was short, so we jump to the upcoming events very quickly. This episode's special guest is Parveen Kaler, a long time game and mobile developer. 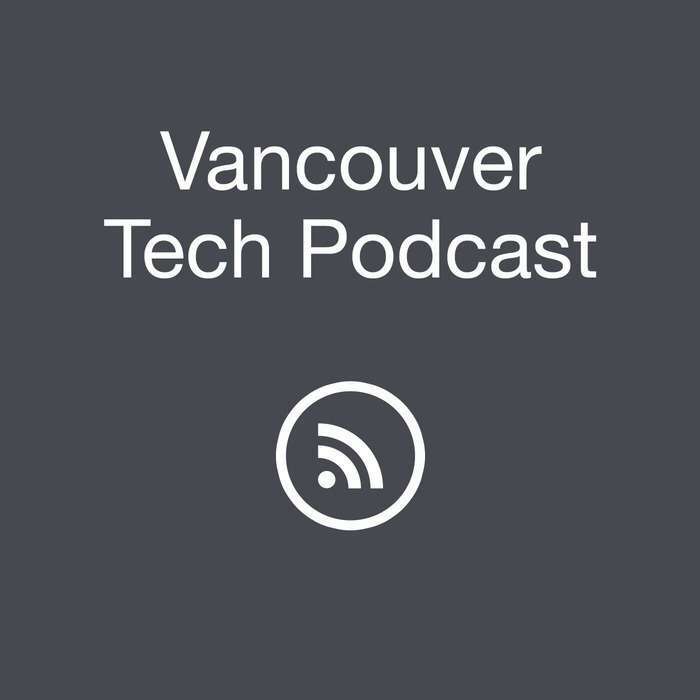 After a short mention of the terrible weather, Drew and James talk about Vancouver's tech events from the previous week, and which ones are coming up next. This episode's special guest is Rob Gulewich from Human API. This week's special guest is Sylvain Marcotte, CEO of 14 Oranges, a web and mobile application development service. The show starts off with current meetups around town. Drew is away this week, so we have a guest co-host, Selina Davis! This week's special guest is Matt Parson from Red Academy and to start with we review and outlook tech events around town. This week's special guest is Kyle Treleaven, General Manager of Brainstation, the third bootcamp in town that we're talking about. The show starts, as usual, with looking at Vancouver's tech events that were going on last week and those that will come up next. This week's guest is Mike Anderson from Echosec, a location-based social media search platform. We start the show with a review of last week's and an outlook to next week's tech meetups around town. This week's guest is Ryan St. Germaine from BCJobs.ca. We start the show with a review of last week's and an outlook to next week's tech meetups around town. Drew and James discuss the upcoming week of January 18th, as well as an interview with Angela Bortolussi from Recruiting Social. Drew and James discuss some resolutions and predictions for 2016, as well as the upcoming events for the week of January 11th. We also have an interview with Joe Lynch, who recently returned from a 1 year trip around the world, and is now looking for work in Vancouver. Drew and James look back on 2015, as well as what is coming in 2016. They discuss the next 2 weeks of events. Due to the holidays, the next show will be in the middle of January. In the second part of the show is an interview with Tammam (Tam) Kbeili, the founder and lead instructor at Code Core. Drew and James talk about the past week, and mention the new events for the week of December 7th. The second part of the show is an interview with Chris Nicola, Co-founder & CTO of WealthBar, as well as a co-organizer of the Vancouver Polyglot events. Drew and James talk about the large number of events for the week of November 21st. The second part of the show includes an interview with Gabe Scholz, creator of Yolk.js, developer at Brewhouse, co-organizer of VanRuby, and instructor at Code Core. This is the first ever episode of the show. Drew and James talk about some of the most popular recurring events in the downtown Vancouver area.